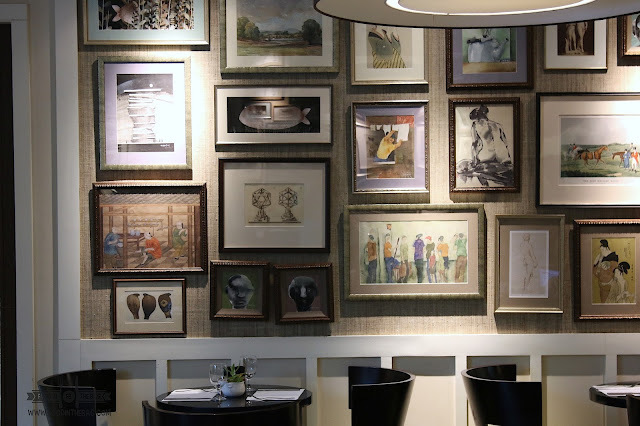 Rockwell seems to be a bit crowded nowadays when it comes to dining. It tends to be difficult to look for a spot that you could take your time and enjoy your meal. At ARUGA CAFE BY MESCLUN, you could stay away from the crowd and still feel at ease with your companions while having a hearty breakfast, lunch, snack or dinner. Located on the ground floor of ARUGA BY ROCKWELL and just across Rockwell Mall, this small cafe-ish like restaurant has the perfect amenities you and your friends might want. Good food, relaxed ambiance, and a small private room perfect for your needs. 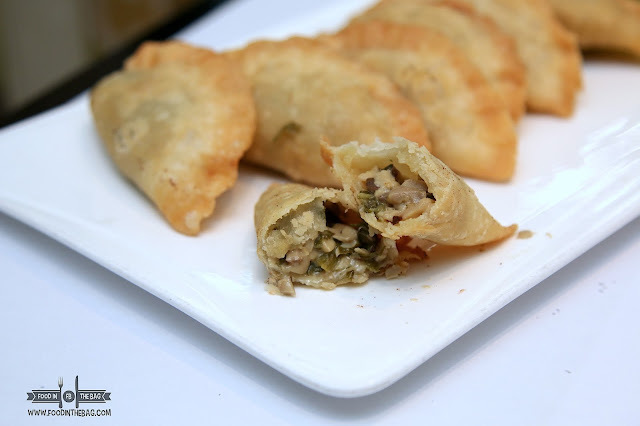 When visiting for a snack, you and friends would definitely enjoy the MUSHROOM and SPINACH EMPANADITAS. These babies are filled with a mushroom and spinach concoction and a hint of truffle and cream. 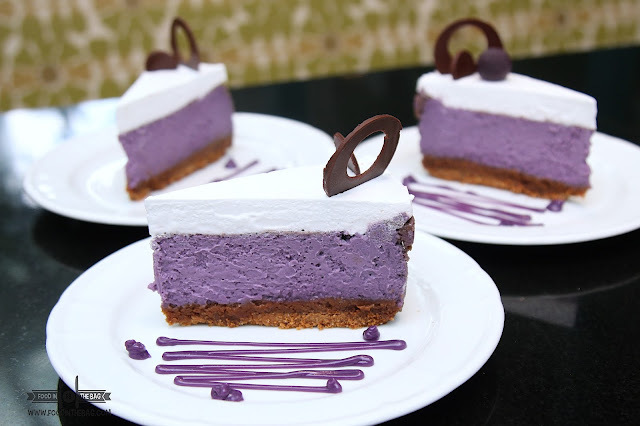 Each piece would stimulate your taste buds to ordering more. 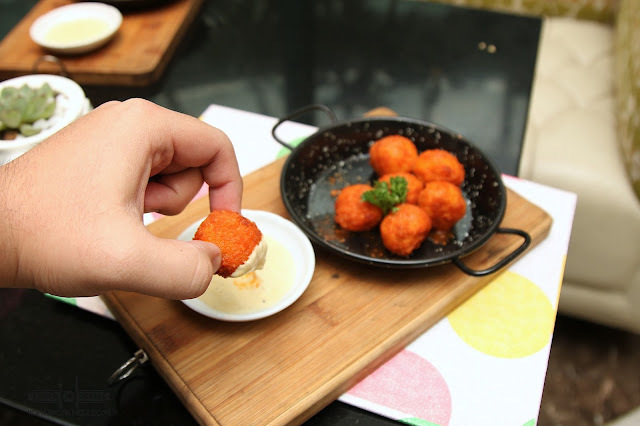 Another must try small dish would be the BUFFALO BALLS. Avoiding all the fuss of removing the bones, this dish would be just right for getting all the good stuff without the mess. 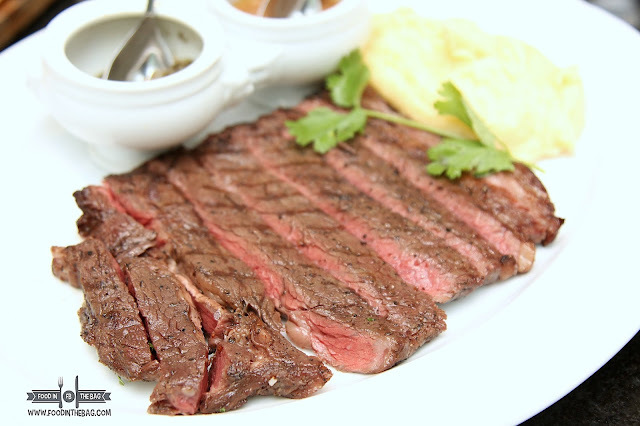 The flavors are all present and it goes well with the blue cheese sauce. 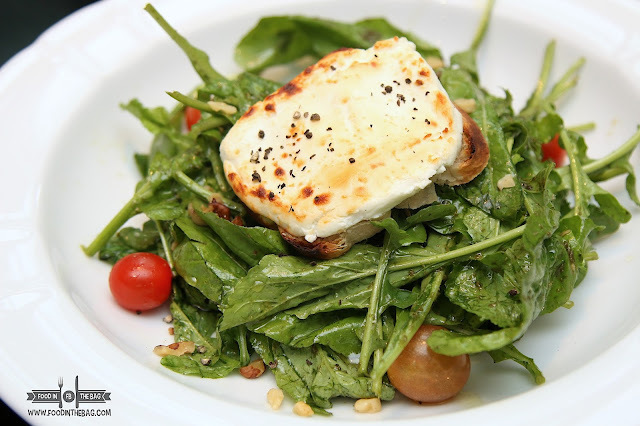 IF something light and healthy is desired, the GOAT CHEESE SALAD might help you. Arugula would be the base alongside the walnuts and cherry tomatoes. A basil vinaigrette is used to put everything together. Afternoon snacks are just as important as everything else. 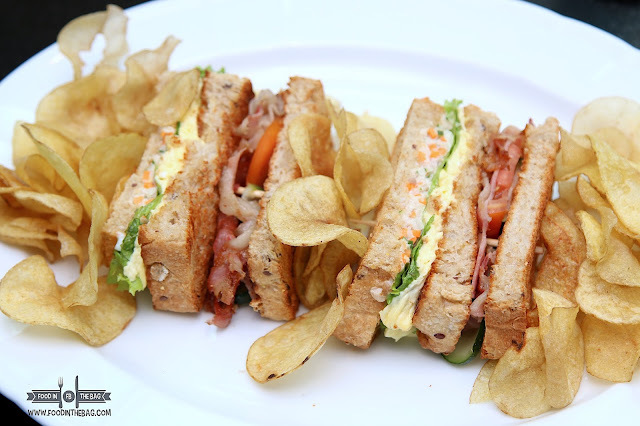 At ARUGA CAFE BY MESCLUN, they can offer a variety of flatbreads and sandwiches as well. 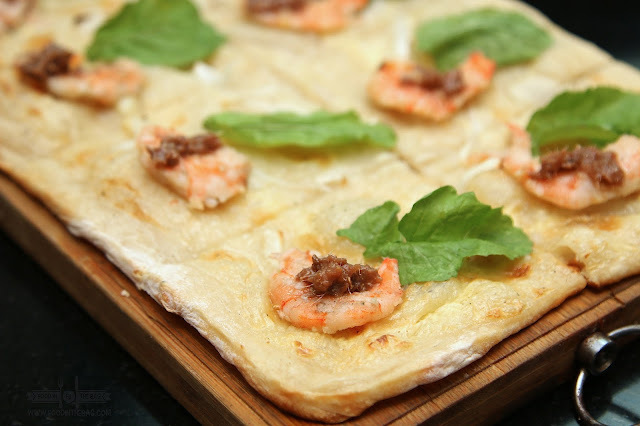 A mix of sweet and salty, the SHRIMPS and ANCHOVIES flatbread would be best for sharing. The CLUB HOUSE though is another dish for someone with a big appetite. 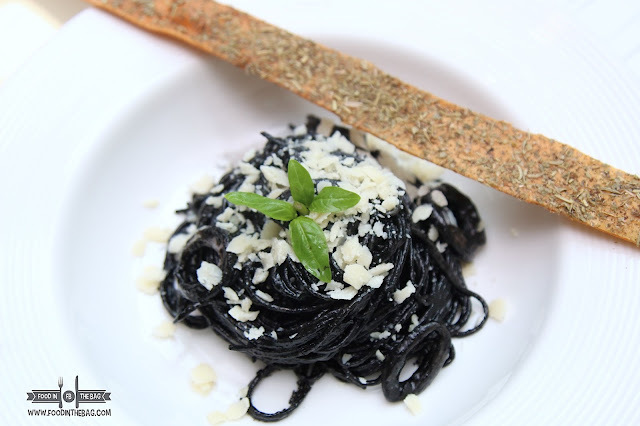 Pasta wise, you can't go wrong with the black spaghettini. With squid ink being the main ingredient, you get to taste the sea with each bite. Just don't forget to wipe your lips after. But if a whole meal is a must, the FRENCH ONION SOUP with be the soup to go to first. Caramelized onions and melted cheese layer on top, you get a gooey and sweet flavor with every mouthful. 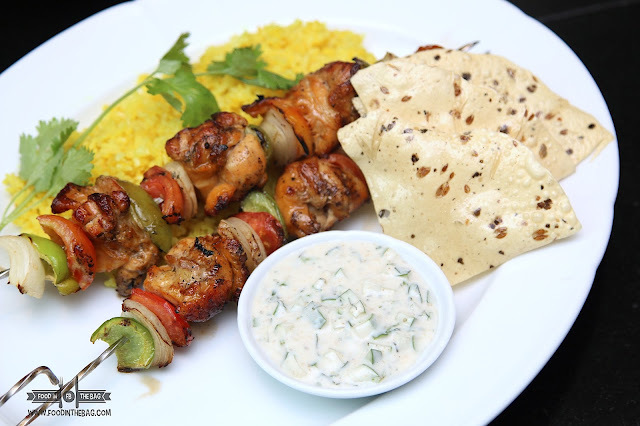 Two highly recommended main dish would be the GUAVA PORK ADOBO and the CHICKEN TIKKA. 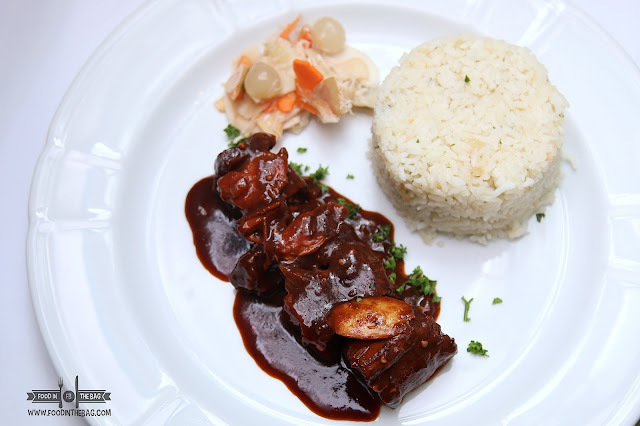 A favorite among guests, the use of the guava on the adobo gave it a spark. The flavor stood out, though, I would have wanted the meat to be more tender. On the other hand, I have no qualms with the CHICKEN TIKKA. The chicken meat has absorbed all the right seasoning. Partnered with the fresh yogurt and papadum, it's like having Indian flavors play in the mouth. If you're into something heavy, the steak would be a wise choice. Cooked to your preference, you have a pinkish center. Accompanied by a mushy mashed potato, this meat just makes everything work. 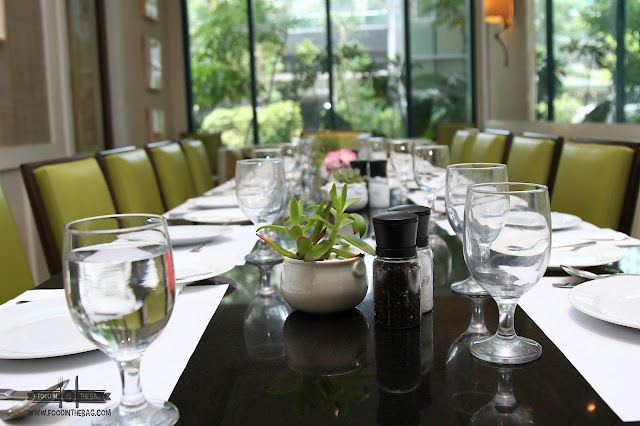 Originally located in LINDEN SUITES, MESCLUN is now handling ARUGA CAFE. 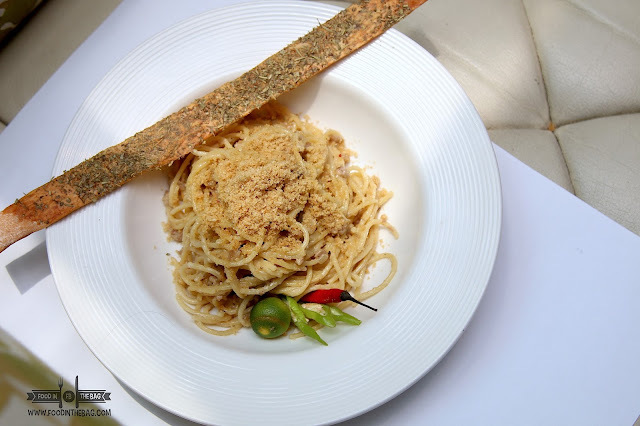 Old and new dishes have been placed into the menu to entice patrons to come on over and have fun. Parking is available but somewhat complex. One would need to get a gate pass from the guard manning the main entrance to the lobby of the hotel. The Main elevated drive entrance is on the side near Dean and Deluca. in basement 1 by entering the other side of the complex near Single Origin. Flat rate of 50Php to be settled at the front desk.